Last Friday, after I had the ceviche, I wanted to try more dishes, so I decided to try a few items from the Ecuadorian food stall. I ordered two cheese empanadas ($1.50 each), and they were different from Colombian empanadas which I’ve had before, and are made from cornmeal. 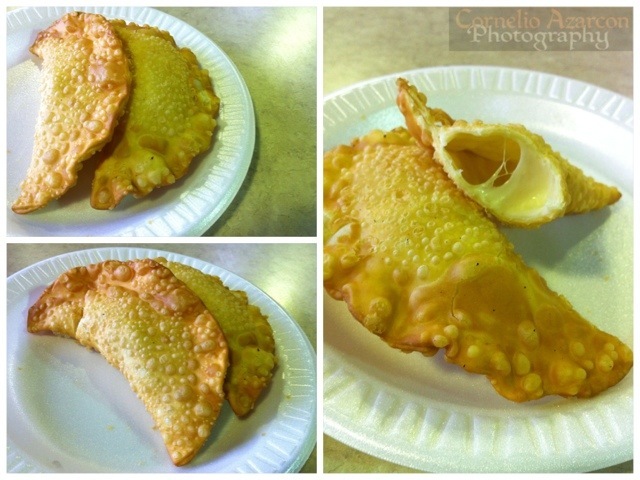 These Ecuadorian empanadas are dough based, stuffed with mozzarella cheese, and deep fried. It was ok, not much flavour to it. Would’ve been better if they used a blend of different cheeses. Overall, it was a nice snack. 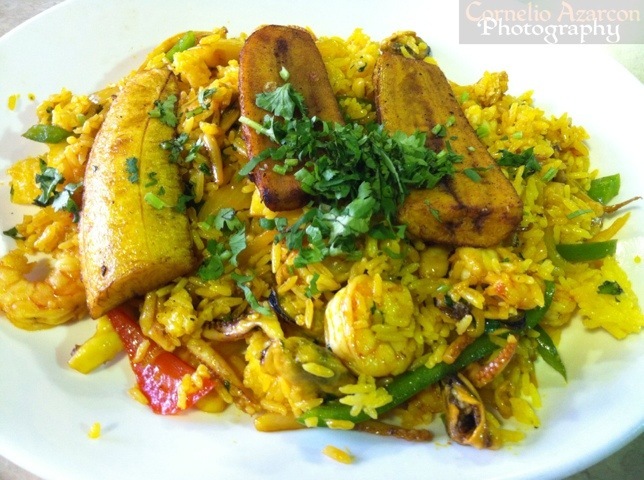 I also ordered the arroz con mariscos (rice & seafood, $12.00), which came with freshly grilled seafood mixed in Spanish style rice. The dish was garnished with cilantro, and topped with fried plantains, which complimented the various flavours on the plate. Hands down my favourite dish of the night.